Enjoy the lavender in bloom, farm to table food, wine tasting, exploration of local markets and exhibits, and time to create in an inspiring studio environment. 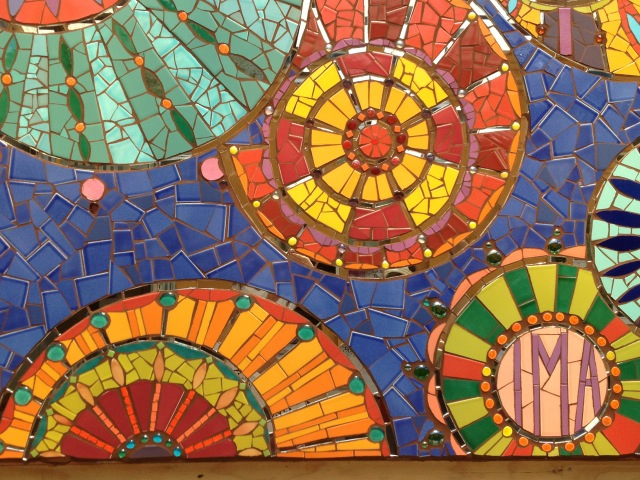 Join professional mosaic artists and educators Laurel True and Valerie Nicoladzé at Valérie’s Esprit Mosaïque Studio in Avignon, France, to explore and celebrate creativity through mosaic art. Laurel and Valérie are teaming up for the fourth year in a row to offer a very special, specifically curated and inspiring trip that will combine hands-on studio time, insider sightseeing , experiential learning, and amazing food…and wine…and cheese…and shopping in Provincial villages…and more. Esprit Mosaïque Studio is full of joyful color and provides a welcoming place to learn, create and spend time in community with other mosaic enthusiasts. Participants will leave Provence feeling like family, having shared food, wine, stories and community creation. Laurel and Valérie will share their experience with students in a relaxed studio setting, offering lessons focusing on various techniques including unique precision cutting and setting techniques for glass and ceramic, use of French mosaic tools and materials and tips and tricks they have mastered over their combined 40 years of creating mosaics. Each student will work according to their experience level with one-on-one guidance. No mosaic experience necessary. Students of all levels are welcome! Students will be inspired by the huge array of beautiful materials at Esprit Mosaique Studio. There are shelves and shelves full of colorful and exotic materials from around the world for students to use in a personal project to take home. Students will have the opportunity to contribute to the creation of a group project one afternoon – a mosaic mural that will be installed outside the studio. Mosaics studio sessions are scheduled in the mornings and afternoons, with some optional evening sessions, leaving plenty of time to create. In addition to enjoying time in the studio, participants will have the chance to eat delicious meals together, stay in a quaint Provincial hotel, tour Avignon and nearby markets including St. Remy and Les Baux de Provence (medieval village with an incredible view and violet gelato), visit a breathtaking subterranean exhibit at Les Carrieres des Lumieres, and enjoy an educational wine tasting and Provincial backyard BBQ at the home of Valerie and her family. The workshop experience will end with a picnic in a lavender field on the final afternoon and a visit to the Village of Sault, where village shops offer all things lavender. The beauty of the lavender in bloom is indescribable and will stay with you well after you return home! 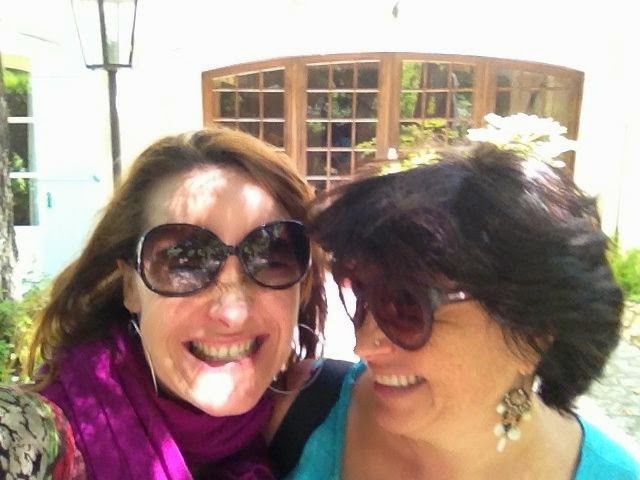 Valerie and Laurel are bi-lingual and workshop and activities will be in English and French. In this five-day workshop artist Laurel True will guide students through an inspirational week of creative exploration as they create a colorful, kaleidoscopic, radial mosaic that reflects their personal style and inspiration. A kaleidoscope in its traditional form creates a symmetrical pattern of color and radiance through the placement and reflection of mirror and glass. 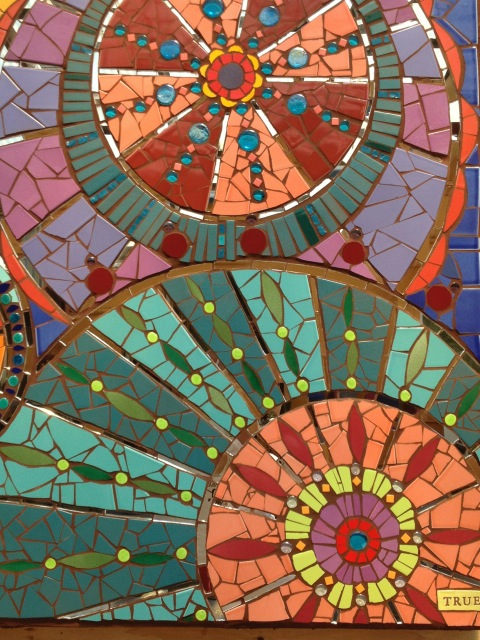 Students will repurpose this concept under the guidance of True, as they design and create a 18” round kaleidoscopic mosaic using their choice of colored and stained glass, mirror, fused glass elements and more. True will demonstrate the use of various tools to achieve desired cuts and shapes, and offer tips for precision setting techniques for grouted and non-grouted mosaics. Various exercises will encourage students to stretch their creative potential and run with their inspirations as they explore color, materials and texture. This unique workshop will focus both on mosaic creation and identifying and bringing into form our creative desires, opening participants to a more cosmic approach to art-making. The final day of the workshop will include the group-creation of a Global Mosaic Project with participation by workshop participants and Hacienda Mosaico staff. The class will create a small mosaic kaleidoscope mural to be installed at Hacienda Mosaico, thus giving students a chance to experience personal and collective mosaic-making, as well as mosaic creation on both intimate and larger scales. 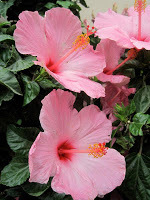 Trip to Syulita, a celebratory dinner on the beach, a gallery stroll, and fabulous dinners out in Puerto Vallarta. All levels. No art or mosaic experience necessary. Learn more about Laurel here. 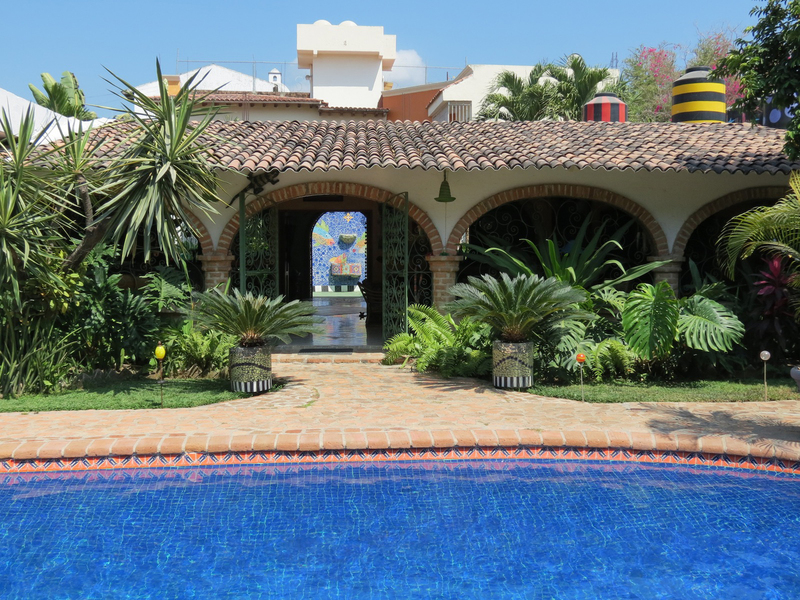 Learn more about Hacienda Mosaico here. Immerse yourself in this specifically curated trip and tour that will inspire your senses, taste buds and your creativity. Enjoy the late summer light and earthy pigments of Provence, farm to table food, wine tasting, exploration of local markets and exhibits, and time to create at Esprit Mosaique Studio in the heart of the wine-growing regions of southern France. French wine and chocolate are the perfect accompaniments to creative exploration, and this trip is a creative and gustatory journey into the heart of Provence. Spend a week with like-minded seekers interested in insider-track travel and experiencing the hidden gems of the region, guided by locals showing you their home. This retreat combines world class wineries and purveyors of fine chocolates, medieval villages, Provencal markets and private gardens with art. We’ll spend relaxing mornings or afternoons in the studio with espresso or wine, and all things chocolate. Each participant will work according to their experience level. All materials will be provided, as well as one-on-one guidance from bilingual teaching artists with a combined 35 years experience, Laurel and Valerie. Students will enjoy a guided exploration of materials and color through the creation of small mosaic projects to take home. No experience with art or mosaics is required for this workshop! This is a wonderful opportunity spend time in community with others passionate about experiential travel and creative expression. Participants will leave Provence feeling like family, having shared food, wine, stories and community creation. We’ve intentionally included plenty of time for socializing, celebration and time to enjoy the moment. The tour will include the spectacular medieval architecture of Gigondas in the Dauphine Region, the breathtaking views at the ancient aqueducts of Pont du Gard, and the Provincial market of Uzez and to Carrieres des Ocres, where we’ll immerse ourselves in the breathtaking earth pigments of these former ocher quarries and shop for natural pigments to use in the studio during a lesson specially focused on the use of earth pigments and mosaic. Also included are visits to world-famous Chateauneuf de Pape and Tavel Wineries for special educational wine tastings and a special private tasting. We’ll end our time together with a final afternoon meal eating local, Provencal food in the middle of a vineyard. Flight, dinners (except Tuesday and Thursday) and personal expenses. To Register: Please e-mail Valerie Nicoladze at espritmosaique@free.fr. For more information, contact Valerie or email Laurel. Studio, where participants will spend time exploring color, texture and the inspirations of Provence. Mosaic Art in California, Principle at True Mosaics Studio and Founding Director of The Global Mosaic Project. Studio Orientation and Intros at Esprit Mosaique Studio. charcuterie and more. Goodbyes and departure! Join mosaic artist Laurel True and youth from Art Creation Foundation for Children in Jacmel, Haiti for an amazing mosaic-making adventure. Be part of a group of international mosaic artists participating in global outreach and voluntourism on this unique trip combining community mosaic mural making, sightseeing in one of Haiti’s most beautiful regions, and visits to local art centers, schools, and beaches. Participants will contribute to the rebuilding and beautification of Haiti while working alongside Haitian youth artists from Art Creation Foundation for Children (ACFFC) on a community project facilitated by Laurel True. This hands-on, cross-cultural collaborative process will result in the creation of a public mosaic mural that will become part of a city-wide beautification project being created by Laurel’s students at ACFFC called Mosaique Jacmel. Jacmel is known for its laid-back atmosphere, beautiful beaches and abundance of artists and musicians. The architecture is reminiscent of New Orleans. Jacmel folks are friendly, welcoming, and motivated to rebound after the devastating earthquake. 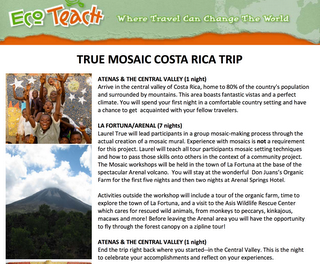 This trip is appropriate for Mosaic artists and novice artists alike. Seasoned mosaic artists will benefit from professional development training in community mosaic project facilitation, and novice mosaic artists will receive hands-on training while participating with other community members learning about mosaics. After our arrival in Port-au-Prince, we’ll visit a famous art gallery founded by musician Issa El Saieh, and enjoy lunch at the historic Hotel Oloffson. We then travel northeast to visit Mirebalais, where Laurel and a team of Haitian mosaic artists have created multiple projects in the new Merebalais Hospital being built by Partners in Health. We’ll return to Port-au-Prince for our first evening together in Haiti. 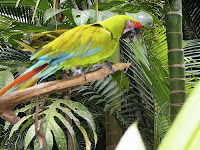 The following day we travel southeast to Jacmel. Our days will include working on the mosaic mural and relaxing in the evenings at a stunning waterfront hotel, Cap Lamondu. Laurel will offer several professional development sessions in the evenings, including a debrief on the day as well as clear information on best practices for mosaic creation and project facilitation. An afternoon will be set aside to relax on one of Jacmel’s beautiful beaches and enjoy tropical juices or rums. Our last evening in Jacmel will include a project dedication and an evening of traditional Haitian music. Tour coordinator Lisa Rueff will lead optional morning yoga classes on the hotel terrace. Cost for this trip is $1,795 based on double occupancy in fine hotels in Port-au-Prince and Jacmel, Haitian/English-speaking tour guide, lux ground transportation, and delicious Haitian meals each day. 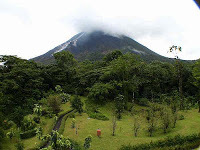 **Price does not include airfare to Haiti, or return airfare. ***Please note that $200 will be tax-deductible as a direct contribution to the ACFFC. To reserve your space and for more information, please contact Global Adventures Tour Director Lisa Rueff. Leading international yoga and service trips abroad, she looks forward to sharing this rewarding experience in Haiti with you. 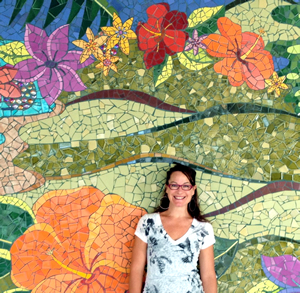 Laurel True is based in New Orleans, and has maintained a professional studio practice in architectural, public, and fine art mosaics for over twenty years through her company, True Mosaics Studio. 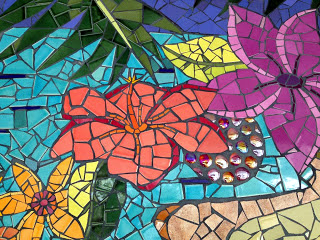 Her vibrant mosaics can be found in hospitals, parks, hotels, and in public, commercial and residential settings worldwide. Laurel teaches and lectures internationally and facilitates community-based mosaic projects through her organization The Global Mosaic Project. Laurel began working in Haiti in 2010, with Art Creation Foundation for Children, where she has an ongoing role as Lead Consultant for the Mosaique Jacmel Project. Laurel is the co-founder of the Institute of Mosaic Art in California, and has been teaching mosaic techniques for almost twenty years. For more information, please visit www.TrueMosaics.com and www.acffc.org.